If you are attending DataCloud2011, please complete this short survey to give us feedback and to help the workshop organizers keep track of this growing community! 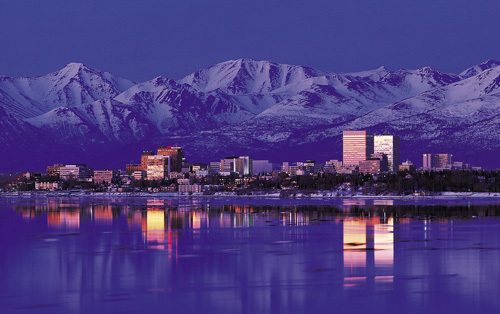 The First International Workshop on Data Intensive Computing in the Clouds (DataCloud2011) will be held in conjunction with the 25th IEEE International Parallel and Distributed Computing Symposium (IPDPS 2011), in Anchorage, Alaska. Applications and experiments in all areas of science are becoming increasingly complex and more demanding in terms of their computational and data requirements. Some applications generate data volumes reaching hundreds of terabytes and even petabytes. As scientific applications become more data intensive, the management of data resources and dataflow between the storage and compute resources is becoming the main bottleneck. Analyzing, visualizing, and disseminating these large data sets has become a major challenge and data intensive computing is now considered as the ''fourth paradigm'' in scientific discovery after theoretical, experimental, and computational science. DataCloud2011 will provide the scientific community a dedicated forum for discussing new research, development, and deployment efforts in running data-intensive computing workloads on Cloud Computing infrastructures. The DataCloud2011 workshop will focus on the use of cloud-based technologies to meet the new data intensive scientific challenges that are not well served by the current supercomputers, grids or compute-intensive clouds. We believe the workshop will be an excellent place to help the community define the current state, determine future goals, and present architectures and services for future clouds supporting data intensive computing. Please contact the workshop chairs Tevfik Kosar and Ioan Raicu for any inquiries about DataCloud2011.